Jan Baptista van Helmont (1577 bis 1644) was one of the first to reject the basic elements of Aristoteles. He discovered that air is not an element and that an other „air“ with different properties exists. He called it, based on the Greek word „chaos“ which means „empty space“, according to the Dutch spelling gas. In the middle ages Paracelsus (1493 bis 1541) is reported to have noted that a gas is yielded when iron is dissolved in the „spirit of vitriole“. Turquet De Mayerne (1573-1655) noted that this gas was inflammable. However, hydrogen was first separated and identified in the second half of the 18th century; Robert Boyle (1627 bis 1691) produced „facticious air“ from diluted sulfuric acid and iron. He showed, that facticious air only burns when air is present and that a part of the air disappears upon the reaction. He also noticed that the combustion products are heavier than the starting material. Therefore, he was against the elements of Aristotoles but his findings were not adequatlely acknowledged. The German chemist Georg Ernst Stahl (1659 bis 1734) was the doctor of the king Friedrich Wilhelm of Preussen and published 1697 the phlogiston theory. According to this theory all inflamable materials contain phlogiston, a hypothetical substance, which is liberatet in the combustion. According to the phlogiston theory (Greek: phlogistos, burned) a material is more flammable and burnes more violent the larger the content of phlogiston. For the first time it was possible to describe several chemical reactions by means of the phlogiston theorie. Lead for example is composed of leadoxide and phlogiston and the phlogiston liberates in the combustion leaving the leadoxide back. The phlogiston theory was very useful and was therefore still defended when an obvious weakness of the theory apeart and an arbitrary assumption was necessary. After Boyle’s observation that the mass of a substance increases in the combustion, e.g. the mass of leadoxide is larger than the mass of lead, a negative mass was attributet to phlogiston. Water (H2O) was considered in all theories to be a basic element in the sence of Aristotoles. Still in 1756 the Scottish Joseph Black saw gases as a form of the element air, therefore he called the gas, known today as carbon dioxide, quick air because it reacts with magnesium to magnesium carbonate. Henry Cavendish (1731 – 1810) proved that there were different types of air, one of which was „inflammable air“ and that a number of metals, when dissolved in acid, produced various amounts of this gas. He assumed that the metal is the source of the inflamable air. This was wrong, however, in accordance with the Phlogiston-theorie. He published in 1766  precise values for the specific weight and density. During the late 1770s, he made experiments with electrical discharges in a hydrogen-oxygen mixture thereby producing water. Cavendish’s discovery has stimulated the search for new gases and the Swedish Carl Wilhelm Scheele and the English Joseph Priestley independently found a gas, which is a component of the air, and it was called fireair. 1781 Cavendish burnt his inflammable air with the fireair and received nothing else than water. On 5th June 1783 the Montgolfier Brothers made the first public demonstration of a model hot-air balloon and in September – in the presence of King Louis XVI and Marie Antoinette – they flew a balloon carrying a sheep, a duck and a cockerel to demonstrate that it was possible to survive in the sky. Some weeks later Pilatre de Rozier, a science teacher, and the Marquis d’Arlandes, an infantry officer, became the first human air travellers when, in a hot-air balloon, they flew for 9 km (5.5 m) over Paris. Jacques Alexandre César Charles (1746-1823) realized that hydrogen was lighter than air, he built the first balloon made of paper and filled with 25 m3 hydrogen gas and, on 27 August 1783, the balloon ascended to a height of nearly 914 meters. The hydrogen was produced by the reaction of iron with sulfuric acid. Upon landing outside of Paris, it was destroyed by terrified peasants. On December 1, 1783, he, along with Ainé Roberts, ascended to a height of 549 meters in the newly constructed balloon „La Charlière„. Charles is best known for his formulation in 1787 of one of the basic gas laws, known as Charles’s law, which states that, at constant pressure, the volume occupied by a fixed weight of gas is directly proportional to the absolute temperature. Fig. Antoine Laurent Lavoisier (1743 – 1794) with his wife and secretary Marie-Anne Paulze (1758-1836), Painting from Louis David (Section) . Soon after the French Antoine Lavoisier (1743-1794) confirmed Cavendish’s experiments and wrote: „It seams that the phenomena can be explained without the use of phlogiston.“  According to Lavoisier’s antiphlogistic theory not the properties of mater were seen as elements but chemical elements as substanzies with specific properties. From todays view phlogiston was the energy (heat) which is liberated in the combustion. Adjacent a group of French chemists started to introduce a new nomenclature in chemistry. Esspecially missleading names were replaced by Greek words, which described the most obvious property of a substance. 1787 Lavoisier presented the proposal worked out by the group of chemists to the academy of scince in Paris . The fire air should be called „oxygene“ from the Greek words „oxys“ for acidic and „genes“ for genesis, because Lavoisier assumed that oxygen to be the reason for the acidity. For the inflamable air the word „hydrogene“ was proposed based on the Greek word „hydor“, for water former. For use as a fuel, a property of hydrogen that is of even greater importance than flammability is the large amount of energy released during combustion. Lavoisier and Pierre Laplace measured the heat of combustion of hydrogen in 1783-1784 using an ice calorimeter. The experiment took 11.5 hours and the amount of ice melted was equivalent to about 9.7·107 Joules per kilogram of hydrogen. This was much higher than values obtained for other substances, and whether for this reason or other uncertainties, the results were not published until 1793. Lavoisier-Laplace value was not too far off the correct value of 1.20·108 Jouls per kilogramm hydrogen. Nicholson and Carlisle in 1800 have splitted up water into oxygen and hydrogen by passing an electric current through it. 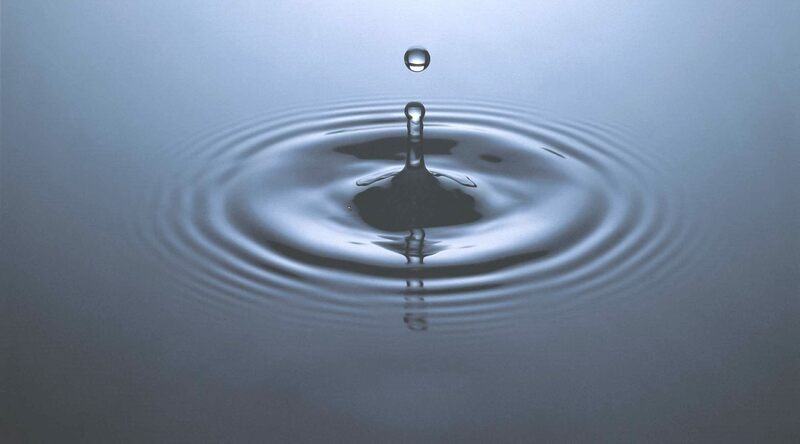 Water was the first substance to be „electrolysed“. From the year 1800 on the use of hydrogen was limited to watergas (mixture of hydrogen and carbonmonoxide) for illumination and as an additive to towngas (mixture of methane, carbonmonoxide and hydrogen) for heating. These gases were displaced by natural gas as a gaseous energy carrier in the middle of the 20th century. Sir William Grove (1811-1896) constructed 1839 a „gas voltaic battery“ which was the forerunner of modern fuel cells. He based his experiment on the fact that sending an electric current through water splits the water into its component parts hydrogen and oxygen. Grove allowed the reaction to reverse – combining hydrogen and oxygen to produce electricity and water. The term „fuel cell“ was coined later in 1889 by Ludwig Mond and Charles Langer, who attempted to build the first practical device using air and industrial coal gas. However the development of the fulcell to a powerfull current source was very difficult and 1866 the first dynamoelectric generator was demonstrated which converts every type of mechanical energy efficiently into electricity. Therefore, fuel cells lost their importance as electricity generators and were not further developed until the middle of the 20th century. Fig. Sir William Robert Grove demonstrated 1839 the first fuel cell with four galvanic elements in series. Diliuted sufuric acid was used as electrolyte and platinum wires as electrodes. In the upper part of the glas cylinders the electrode was in contact with hydrogen (hy) and oxygen (ox), respectively. The generated current was again used to electrolyze water. Gustav Kirchhoff and Robert Bunsen analyzed 1861 the emitted spectrum of the sun and found hydrogen to be the major constituent of the sun. On 10 May 1898, James Dewar  used regenerative cooling to become the first to statically liquefy hydrogen. Using liquid nitrogen he precooled gaseous hydrogen, under 180 atmospheres, then expanded it through a valve in an insulated vessel, also cooled by liquid nitrogen. The expanding hydrogen produced about 20 cm3 of liquid hydrogen, about 1 percent of the hydrogen used. 1909 the German Chemist Fritz Haber discovered a catalyzed process , wich alowed the synthesis of ammonia (NH3) from the elements hydogen and nitrogen. He received the Nobel price in chemistry for his discovery. Subsequently Carl Bosch succeeded to upscale Haber’s synthesis from the laboratory size to an industrial production. After the first World War also other industrial countries introduced the ammonia synthesis and therefore the consumption of hydrogen increased rapidly. In 1929 Bonhoeffer and P. Harteck  successfully prepared the first pure para-hydrogen sample. 1931 Urey, Brickwedde and Murphy  investigated the visible atomic Balmer series spectra of hydrogen samples and discovery the hydrogen isotope H2 deuterium. 1935 Oliphant, Harteck and Lord Rutherford  synthesised „superheavy hydrogen“, H3 tritium, through neutron bombardment of deuterated phosphoric acid. 1st March 1954 the USA ignited the first hydrogen bomb on tiny Bikini Atoll in the Marshall islands, contaminated a passing Japanese fishing boat and showered nearby villagers with radioactive ash. The bomb was 1,000 times more powerful than the one dropped on Hiroshima. Three weeks later it emerged that a Japanese fishing boat, called Lucky Dragon, was within 80 miles (129 km) of the test zone at the time. Its 23 crew were severely affected by radiation sickness. They were among 264 people accidentally exposed to radiation because the explosion and fall-out had been far greater than expected. The total hydrogen production worldwide amounts in 2000 to 500·109 m3 (STP) or aproximately 45·106 tonns annually. The major sources are natural gas and coal, accounting for 78 % of the total production, 48 and 30% respectively. 50% of the total hydrogen production is used for the ammonia synthesis and 25% for the cracking and purification of crude oil. J. R. Partington, A History of Chemistry, 4 vols. (London: Macmillan, 1961), 2:526; Philosophical Transactions (1766): 141; Cavendish’s papers are in The Scientific Papers of the Honourable Henry Cavendish, F.R.S., Sir Edward Thorpe, ed., 2 vols. (Cambridge: University Press, 1921). Volume 11, Chemical and Dynamical, was the source used. See also Partington, History of Chemistry, 3:302-62. Jacques-Louis David,French Painter (1748-1825) – Neoclassicism: Portrait of Monsieur Lavoisier and His Wife, Oil on Canvas, 8′ 8″ x 7′ 4″ 1788, The Metropolitan Museum of Art in New York. F. Haber and Z. Klemensiewicz, Z. Physik. Chem., 67 (1909), pp. 385. Bonhoeffer, K. F.; Harteck, P. “Properties of parahydrogen.” Z. Elektrochem (1929), 35 621. J. O. Bockries, T. N. Veziroglu, “A Solar Hydrogen Economy for USA”, Int J. Hydrogen Energy 8:5 (1983), pp. 323-340. The LZ-129 Hindenburg and her sister-ship LZ-130 „Graf Zeppelin II“ were the two largest aircraft ever built. The Hindenburg was named after the President of Germany,Paul von Hindenburg. It was a brand-new all aluminium design: 245m long, 41m in diameter, containing 211’890 m3 of gas in 16 bags or cells, with a useful lift of 112’000 kg, powered by four 820 kW engines giving it a maximum speed of 135 km/h. It could carry 72 passengers (50 transatlantic) and had a crew of 61. For aerodynamic reasons the passenger quarters were contained within the body rather than in gondolas. It was skinned in cotton, doped with iron oxide and cellulose acetate butyrate impregnated with aluminium powder. Constructed by Luftschiffbau Zeppelin in 1935 at a cost of £500,000, made its first flight in March 1936 and completed a record double-crossing in five days, 19 hours, 51 minutes in July. The Hindenburg was intended to be filled with helium but a United States military embargo on helium forced the Germans to use highly flammable hydrogen as the lift gas. Knowing of the risks with the hydrogen gas, the engineers used various safety measures to keep the hydrogen from causing any fire when it leaked, and they also treated the airship’s coating to prevent electric sparks that could cause fires. The disaster  is remembered because of extraordinary newsreel coverage, photographs, and Herbert Morrison’s recorded radio eyewitness report from the landing field. Morrison’s words were not broadcast until the next day. Parts of his report were later dubbed onto the newsreel footage (giving an incorrect impression to some modern eyes accustomed to live television that the words and film had always been together). Morrison’s broadcast remains one of the most famous in history – his plantive words „oh the humanity“ resonate with the memory of the disaster. Herbert Morrison’s famous words should be understood in the context of the broadcast, in which he had repeatedly referred to the large team of people on the field, engaged in landing the airship, as a „mass of humanity“. He used the phrase when it became clear that the burning wreckage going to settle onto the ground, and that the people underneath would probably not have time to escape it. It is not clear from the recording whether his actual words were „Oh, the humanity“ or „all the humanity“. Fig. On May 6, 1937, at 19:25 the German zeppelin Hindenburg caught fire and was utterly destroyed within a minute while attempting to dock with its mooring mast at Lakehurst Naval Air Station in New Jersey. Of the 97 people on board, 13 passengers and 22 crew-members were killed. One member of the ground crew also died, bringing the death toll to 36. There had been a series of other airship accidents (none of them Zeppelins) prior to the Hindenburg fire, most due to bad weather. However, Zeppelins had accumulated an impressive safety record. For instance, the Graf Zeppelin had flown safely for more than 1.6 million km (1 million miles) including making the first complete circumnavigation of the globe. The Zeppelin company was very proud of the fact that no passenger had ever been injured on one of their airships. But the Hindenburg accident changed all that. Public faith in airships was completely shattered by the spectacular movie footage and impassioned live voice recording from the scene. Because of this vivid publicity, Zeppelin transport came to an end. It marked the end of the giant, passenger-carrying rigid airships. Questions and controversy surround the accident to this day. There are two major points of contention: 1) How the fire started and 2) Why the fire spread so quickly. At the time, sabotage was commonly put forward as the cause of the fire, in particular by Hugo Eckener, former head of the Zeppelin company and the „old man“ of the German airships. The Zeppelin airships were widely seen as symbols of German and Nazi power. As such, they would have made tempting targets for opponents of the Nazis. However, no firm evidence supporting this theory was produced at the formal hearings on the matter. The airship’s skin was not constructed in a way that allowed its charge to be evenly distributed and the skin was separated from the aluminium frame by nonconductive ramie cords. The ship passed through a moist weather front. The mooring lines were wet and therefore conductive. As the ship moved through the moist air the skin became charged. When the wet mooring lines connected to the aluminium frame touched the ground they grounded the aluminium frame. The grounding of the frame caused an electrical discharge to jump from the skin to the grounded frame. Witnesses reported seeing a glow consistent with a St. Elmo’s fire. The controversy around the rapid spread of the flames centres around whether blame lies primarily with the use of hydrogen gas for lift or the flammable coating used on the outside of the envelope fabric. Proponents of the „flammable fabric“ theory contend that the extremely flammable iron oxide and aluminium impregnated cellulose acetate butyrate coating could have caught fire from atmospheric static, resulting in a leak through which flammable hydrogen gas could escape. After the disaster the Zeppelin company’s engineers determined this skin material, used only on the Hindenburg, was more flammable than the skin used on previous craft. Cellulose acetate butyrate is of course flammable but iron oxide increases the flammability of aluminium powder. In fact iron oxide and aluminium can be used as components of solid rocket fuel or thermite. Hydrogen burns invisibly (emitting light in the UV range) so the visible flames (see photo) of the fire could not have been caused by the hydrogen gas. Also motion picture films show downward burning. Hydrogen, being less dense than air, burns upward. Some speculate that the German government placed the blame on flammable hydrogen in order to cast the U.S. helium embargo in a bad light. Also, the naturally odorless hydrogen gas in the Hindenburg was ‚odorised‘ with garlic so that any leaks could be detected, and nobody reported any smell of garlic during the flight or at the landing prior to the disaster. It is also pointed out that none of the victims died burned by hydrogen. Of the 36 victims, 33 died because they jumped or fell out of the airship, two died of burns from the fabric and diesel fuel, and Allen Hagaman of the ground crew was killed when one of the motors fell on him. Opponents of the „flammable fabric“ theory  contend that it is a recently developed analysis focused primarily on deflecting public concern about the safety of hydrogen. These opponents contend that the „flammable fabric“ theory fails to account for many important facts of the case. he empty orbiter has a weight of 68 tons and is manufactured by Rockwell. The orbiter itself contains 15 tons of fuel and is equiped with 3 fuel cells of 2 – 12 kW electric power. The total weight at launch of the orbiter is 126 tons. The 3 main engines from Rocketdyne of the space shuttle operate with liquid hydrogen and liquid oxygen as fuel and develop a thrust of 1’750 kN at launch for about 10 seconds. The fuel is stored in the external tank from Martin Marietta. The external tank contains 616 tons liquid oxygen (1991 liter) and 102 tons liquid hydrogen (14500 liters) and has a total weight of 756 tons and an empty weight of 35 tons. The solid rocket boosters (SRB) from Thiokol contain each 503 tons of fuel (16% atomized aluminum powder as fuel, 69.83% ammonium perchlorate as oxidizer, 0.17% iron-powder as catalyst, 12% polybutadiene acrylic acid acrylonite as binder, 2% epoxy curing agent) and the total weight (tank + fuel) is 590 tons. Each SRB develops a thrust of 13’800 kN and operate for about 120 seconds. January 28, 1986,11:38:00 a.m. EST. First Shuttle liftoff scheduled from Pad B. Launch set for 3:43 p.m. EST, Jan. 22, slipped to Jan. 23, then Jan. 24, due to delays in mission 61-C. Launch reset for Jan. 25 because of bad weather at transoceanic abort landing (TAL) site in Dakar, Senegal. To utilize Casablanca (not equipped for night landings) as alternate TAL site, T-zero moved to morning liftoff time. Launch postponed a day when launch processing unable to meet new morning liftoff time. Prediction of unacceptable weather at KSC led to launch rescheduled for 9:37 a.m. EST, Jan. 27. Launch delayed 24 hours again when ground servicing equipment hatch closing fixture could not be removed from orbiter hatch. Fixture sawed off and attaching bolt drilled out before closeout completed. During delay, cross winds exceeded return-to-launch-site limits at KSC’s Shuttle Landing Facility. Launch Jan. 28 delayed two hours when hardware interface module in launch processing system, which monitors fire detection system, failed during liquid hydrogen tanking procedures. The Solid Rocket Boosters (SRB) was ignited, and the thundering noise started. Just after liftoff at 0.678 seconds into the flight, photographic data show a strong puff of gray smoke was spurting from the vicinity of the aft field joint on the right Solid Rocket Booster. Computer graphic analysis of film from pad cameras indicated the initial smoke came from the 270 to 310-degree sector of the circumference of the aft field joint of the right Solid Rocket Booster. This area of the solid booster faces the External Tank. The vaporized material streaming from the joint indicated there was not complete sealing action within the joint. Eight more distinctive puffs of increasingly blacker smoke were recorded between 0.836 and 2.500 seconds. The smoke appeared to puff upwards from the joint. While each smoke puff was being left behind by the upward flight of the Shuttle, the next fresh puff could be seen near the level of the joint. The multiple smoke puffs in this sequence occurred at about four times per second, approximating the frequency of the structural load dynamics and resultant joint flexing. As the Shuttle increased its upward velocity, it flew past the emerging and expanding smoke puffs. The last smoke was seen above the field joint at 2.733 seconds. The black color and dense composition of the smoke puffs suggest that the grease, joint insulation and rubber O-rings in the joint seal were being burned and eroded by the hot propellant gases. At approximately 37 seconds, Challenger encountered the first of several high-altitude wind shear conditions, which lasted until about 64 seconds. The wind shear created forces on the vehicle with relatively large fluctuations. These were immediately sensed and countered by the guidance, navigation and control system. The steering system (thrust vector control) of the Solid Rocket Booster responded to all commands and wind shear effects. The wind shear caused the steering system to be more active than on any previous flight. Both the Shuttle main engines and the solid rockets operated at reduced thrust approaching and passing through the area of maximum dynamic pressure of 720 pounds per square foot. Main engines had been throttled up to 104% thrust and the Solid Rocket Boosters were increasing their thrust when the first flickering flame appeared on the right Solid Rocket Booster in the area of the aft field joint. This first very small flame was detected on image enhanced film at 58.788 seconds into the flight. It appeared to originate at about 305 degrees around the booster circumference at or near the aft field joint. One film frame later from the same camera, the flame was visible without image enhancement. It grew into a continuous, well-defined plume at 59.262 seconds. At about the same time (60 seconds), telemetry showed a pressure differential between the chamber pressures in the right and left boosters. The right booster chamber pressure was lower, confirming the growing leak in the area of the field joint. As the flame plume increased in size, it was deflected rearward by the aerodynamic slipstream and circumferentially by the protruding structure of the upper ring attaching the booster to the External Tank. These deflections directed the flame plume onto the surface of the External Tank. This sequence of flame spreading is confirmed by analysis of the recovered wreckage. The growing flame also impinged on the strut attaching the Solid Rocket Booster to the External Tank. The first visual indication that swirling flame from the right Solid Rocket Booster breached the External Tank was at 64.660 seconds when there was an abrupt change in the shape and color of the plume. This indicated that it was mixing with leaking hydrogen from the External Tank. Telemetered changes in the hydrogen tank pressurization confirmed the leak. Within 45 milliseconds of the breach of the External Tank, a bright sustained glow developed on the black-tiled underside of the Challenger between it and the External Tank. Beginning at about 72 seconds, a series of events occurred extremely rapidly that terminated the flight. Telemetered data indicate a wide variety of flight system actions that support the visual evidence of the photos as the Shuttle struggled futilely against the forces that were destroying it. At about 72.20 seconds the lower strut linking the Solid Rocket Booster and the External Tank was severed or pulled away from the weakened hydrogen tank permitting the right Solid Rocket Booster to rotate around the upper attachment strut. This rotation is indicated by divergent yaw and pitch rates between the left and right Solid Rocket Boosters. At 73.124 seconds,. a circumferential white vapor pattern was observed blooming from the side of the External Tank bottom dome. This was the beginning of the structural failure of hydrogen tank that culminated in the entire aft dome dropping away. This released massive amounts of liquid hydrogen from the tank and created a sudden forward thrust of about 2.8 million pounds, pushing the hydrogen tank upward into the intertank structure. At about the same time, the rotating right Solid Rocket Booster impacted the intertank structure and the lower part of the liquid oxygen tank. These structures failed at 73.137 seconds as evidenced by the white vapors appearing in the intertank region. Within milliseconds there was massive, almost explosive, burning of the hydrogen streaming from the failed tank bottom and liquid oxygen breach in the area of the intertank. At this point in its trajectory, while traveling at a Mach number of 1.92 at an altitude of 46,000 feet, the Challenger was totally enveloped in the explosive burn. The Challenger’s reaction control system ruptured and a hypergolic burn of its propellants occurred as it exited the oxygen-hydrogen flames. The reddish brown colors of the hypergolic fuel burn are visible on the edge of the main fireball. The Orbiter, under severe aerodynamic loads, broke into several large sections which emerged from the fireball. Separate sections that can be identified on film include the main engine/tail section with the engines still burning, one wing of the Orbiter, and the forward fuselage trailing a mass of umbilical lines pulled loose from the payload bay. The explosion 73 seconds after liftoff claimed crew and vehicle. Cause of explosion was determined to be an O-ring failure in right SRB. Cold weather was a contributing factor. The temperature at ground level at Pad 39B was 36°F, that was 15°F cooler than any other previous launch by NASA. The last recorded transmission from Challenger was at 73.62 seconds after launch, when it truly fell apart. Duggan, John (2002). LS 129 „Hindenburg“ – The Complete Story. Ickenham, UK: Zeppelin Study Group. ISBN 0-9514114-8-9.